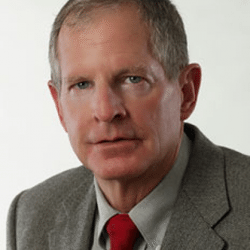 A Jacksonville Florida Bankruptcy Attorney with over 25 years experience! My name is D.C. Higginbotham. I am a graduate of the University of Florida School of Law and served four years in the U.S. Marine Corps as a Judge Advocate General. I am a life-long resident of Jacksonville, Florida and practice bankruptcy law exclusively. When you have your free initial consultation, by phone or in person, it will be with me. I will ask you detailed questions about your financial situation and problems, answer your questions, and tell you how bankruptcy will work in your case. This consultation will normally take 30 to 60 minutes. After the initial consultation, if you decide to file bankruptcy, you will make another appointment to actually start the process. Again you will meet with me personally. I will then draft all the necessary bankruptcy papers which will be ready for you to sign a few days later. Some other bankruptcy law firms may let you meet with an actual lawyer only one time, at the initial consultation, then you are assigned to a “paralegal” who actually prepares all the bankruptcy papers, supposedly under the “oversight” of the attorney. This is not the way it should be, and is not the way I do it! Only if I personally prepare your papers do I know that you are getting the maximum benefit of the bankruptcy laws. After your case is filed, I will continue to make myself available to answer any questions you have as your case progresses. Lawyers are notorious for not returning phone calls and being unresponsive to clients. My office does not operate like that. Although my staff is very knowledgeable and can usually answer many routine questions you might have, anytime you feel the need to talk directly to me, you will. Please give me a call If you are looking for a bankruptcy attorney. 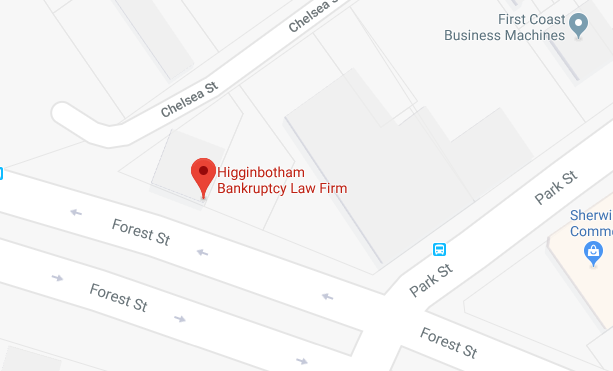 Call me at 904-354-6604 or contact me via e-mail me by clicking here at Bankruptcy Law Firm of D.C. Higginbotham now to set up your free consultation.